When someone decides to purchase a used car, many of the options available may look beautiful, clean and in a good condition. But nobody knows what story they hold behind. 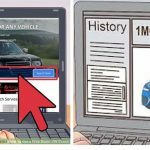 Therefore purpose of this article is to inform what you need to know right now to get an accurate VIN number check online. And other useful tricks like how to decode it, and what kind of info to look for when doing the check. If you are looking to purchase a used car, you may get numerous advices from everyone you have talked with. Some might advise you to check its exhaust for thick smoke, some might advise you to check its service record and some might even advise you to check the oil leakage because it is one of those warning signs which can’t be ignored. But there are very few who will actually suggest you to check its VIN. This is because people are not aware of the advantages of the VIN. A used car should never be purchased without checking its VIN; otherwise, you will lose the opportunity to be aware of the past details of it. A car VIN number check will allow you to learn about any issues the car had, like a tampered odometer, parts authenticity, information about past theft (if any) and any accident records. Since many people are not aware of the car VIN number check, they often end up with a car which is good looking but has been stolen in the past or has an accidental history. After going through this article, you will understand what a VIN is and why it is necessary to check the VIN number of a car. The VIN (Vehicle Identification Number) of a car is the distinguishing code of your automobile. It is like the fingerprint of your car. It positions a vehicle apart from millions of other vehicles and it has 17 digits. This number denotes the uniqueness of a car and allows you to find the real manufacturer. In short, a car VIN number check is the method of tracing your car’s journey from the manufacturing plant to a junkyard. With a VIN number, you can easily track recalls, warranty claims, registrations, insurance coverage and thefts of the vehicle you are interested to know about. Before moving any further, it is important to know that VIN is also the finest way to know about a stolen vehicle. When you find a car sold for a very less amount, you can use its VIN to find out if it is a stolen or a salvage vehicle. The seller of such cars will usually ask for cash payments and checking the VIN of that car will allow you to know the truth behind its cheap price at that time. According to the information from Federal Bureau of Investigation Statistics, in the U.S. alone, a vehicle is stolen every 25.3 seconds. Thieves strike on cars because they bear a vast profit potential. Stolen cars are disassembled and their parts are then supplied to the black market. The popularity of automobiles, like pickups, minivans, trucks, and SUVs is making these vehicles an increasingly appealing target for car thieves. In the U.S., the most catastrophic property crime is the vehicle theft. All this makes the VIN a very important thing to consider for everyone related to automobiles. A VIN or Vehicle Identification Number contains some vital information of your vehicle to help you know all about it. A car VIN Number check is important because it gives you all the information you need about it, including its history. You can determine whether the car is in accordance with the lemon law or not. First you should make sure that the car’s VIN is the same as mentioned in the description. You should check the engine compartment as well as all the possible places, like the hood or dashboard for that specific model, type and manufacturing year of the vehicle. You should make sure that every VIN sticker matches to that on the car’s body. If you are not aware of the VIN history of a car you’d like to purchase, then you will be missing many crucial information. In the mid-1950s, the automobile manufacturers in the USA started casting and stamping identity numbers on cars and their parts. The clear purpose was to provide correct descriptions of cars when they were produced in a large number. Researchers revealed that early Vehicle Identification Numbers were available in all the variations produced by an individual manufacturer of that time. In the early 1980s, the National Highway Traffic Safety Administration from the U.S. Department of Transport issued a notice that all the road vehicles should contain a VIN of 17 characters. This created a fixed VIN (Vehicle Identification Number) system for all the manufacturers of vehicles. Therefore, every manufacturer started allotting a unique vehicle identification number to every vehicle they manufactured which moved off the manufacturing plant. Today, this unique 17-character number is being used in Australia, Europe, New Zealand, the United States, and several other countries. All the newly registered as well as re-registered vehicles should have a registration and a VIN number. etched on the vehicle’s rear window. The registration number is not permanently attached to the vehicle. For example, personalized number plates might be traded and moved from one automobile to another. On the other hand, a VIN remains permanently attached to an automobile. This gives it a preference over the registration number. Every vehicle manufacturer uses different chassis or frame numbering systems. It is not necessary that one system matches to another, and sometimes, the numbers are also duplicated. On the other hand, a VIN is a code recognized internationally and they are standardized for every vehicle. Every digit or character in a VIN defines a specific purpose. You can go through the following information and find out what every character of a VIN stands for. The first digit or character of a VIN represents the country where the vehicle was originally manufactured. For example, vehicles manufactured in the USA are given the number “1” or “4”, Canadian vehicles have “2” as the first digit, Mexican have “3”, Japanese vehicles have the character “J”, Korea “K”, Germany “W”, England “S” and Italy “Z”. The second digit or character represents the vehicle’s manufacturer. For example, Audi (A), Buick (4), BMW (B), Chevrolet (1), Cadillac (6), Chrysler (C), Dodge (B), General Motors (G), GM Canada (7), Ford (F), Honda (H), Jaguar (A), Mercedes Benz (D), Lincoln (L), Mercury (M), Oldsmobile (3), Nissan (N), Pontiac (2 or 5), Saturn (8), Plymouth (P), Volvo (V) and Toyota (T). The third digit indicates the manufacturing division or vehicle type. The fourth to eighth digits indicate the different features of the vehicle, like the body style, model, engine type, series, etc. The ninth digit is the accuracy check digit by which the previous VINs can be verified. The results from the 1st and 2nd steps should be added. Then the sum should be divided by 11. The numerical remainder will be the check digit and it will appear on the 9th place in VIN. If 10 is the remainder, the check digit will be denoted by the letter “X”. The 10th digit indicates the model year, such as: 1980 (A), 1981 (B), 1982 (C), 1983 (D), 1984 (E), 1985 (F), 1986 (G), 1987 (H), 1988 (J), 1989 (K), 1990 (L), 1991 (M), 1992 (N), 1993 (P), 1994 (R), 1995 (S), 1996 (T), 1997 (V), 1998 (W), 1999 (X), 2000 (Y), 2001 (1), 2002 (2), 2003 (3), 2004 (4), 2005 (5), 2006 (6), 2007 (7), 2008 (8), 2009 (9), 2010 (A), 2011 (B), 2012 (C), 2013 (D), 2014 (E), 2015 (F), 2016 (G), 2017 (H), and 2018 (J). The 11th digit reveals the vehicle’s assembly plant. The 12th to 17th digits of the VIN indicate the vehicle’s sequence of production in the manner it moves through the assembly line of a manufacturer. Vehicle theft was at its peak in the USA during the mid-80s. The Federal Motor Vehicle Theft Prevention Standard was issued by the Department of Transportation with an aim to reduce car thefts. This was followed by the introduction of several new standards. 1987: Automobile companies whose manufactured cars were mostly stolen during that period were asked to mark VIN on 12 to 14 of their main component parts. 1994: An amendment was made to include light-duty trucks and multi-purpose passenger vehicles. 1997: That year an amendment was made to mark the VIN on main component parts. rear doors and deck/hatchback tailgate/lid. Today VIN is added to all the major parts of a vehicle. When you have to purchase a second-hand car, you can easily do a car VIN number check and find out if the car is clean or a stolen one. By now, you might have gained vital knowledge about the VIN. But there could still be some questions bothering you. Below are answers to some of those questions. Are vehicle owners affected by VINs? Vehicle owners usually are not affected since new vehicles have a VIN affixed before being sold. It is the importer’s or manufacturer’s responsibility to provide the numbers. How are VINs used? A VIN is a security element. It helps in combating fraud and making sure that a vehicle’s roadworthiness information will not be used by an invalid one. VINs get checked against the MVR database during every Certificate of Fitness or Warrant of Fitness inspection. These are available online and all the VIN records are centralized as well as highly accessible. It is quite difficult for invalid records (for criminal intentions or via genuine error) to influence the system. Which organization issues VINs? VINs are issued by the TSD (Transport Service Delivery) agents and appointed by the LTSA. Where to find the VIN in my car? The increasing number of thefts have pushed the manufacturers to put more VIN stickers and engrave VINs to different components of the automobile. A thief has to work really hard before eliminating the VIN from a vehicle. In your car, you can find the VIN at the driver’s side dashboard. If you don’t find here, open the driver’s side door and see the door post. The locations of VIN vary from vehicle to vehicle and are different because of security reasons. Component parts like the frame, engine, etc. If buying a used car is your preference, then checking its VIN should be your priority. There are many agencies which can help you know a car’s history through the VIN. This way you will know everything about the car you are looking to purchase and you will end up shopping smart.